The unfolding events in AFC Leopards SC are as a result of mismanagement, misuse of millions, interference on team fielding, players fighting with top officials over women supporters and above all, failure to pay players allowances. Already, the national office is deeply divided after a number of officials were suspended. The suspended officials have ganged up against those who survived to wreck the club. This is happening as Timona Wanyonyi who had been acquired from the mighty Gor Mahia was given a bouncing cheque to shift from Gor Mahia to the Ingwe den. He has since refused to be part and parcel of a sinking ship. 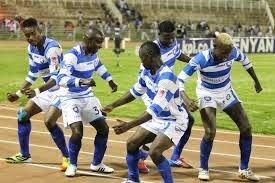 What is happening at AFC Leopards? Fear is that the happenings at Ingwe are crystal clear that things are not in order and it will not be a surprise if the club hangs around the relegation zone for the better part of the season unless an absolutely new strategy is quickly put in place to rescue and salvage the team from relegation. It is on these grounds that supporters are planning to petition the office to call for an emergency annual general meeting. Last week, a group christened AFC Rescue Team met at Laico Hotel, Nairobi, and listed down 12 points to salvage the club. To them, it is saddening for a club like Ingwe to be entangled in financial crisis, mismanagement, indiscipline and lack of co-ordination between players, technical bench and the executive committee reading from a different script. If anything, the club boasts of a well-contracted sponsor (Mumias Sugar Company) who promptly pays for the players and technical bench salaries. They have the gate collections, monies from merchandise, among other sources and yet it is turning out to be a problem in paying the players their training allowances. What is going on? Sources hinted what is coming out openly on the continual dismal performance from the players could be a go-slow towards the management as a result of frustrations the playing unit is facing. In fact, it is whispered that a section of players have threatened to boycott matches if the officials are not removed. It is no secret then that the leadership and management style of the club’s chairman Allan Kasavuli has been on the spotlight, questionable and full of loopholes. Kasavuli is accused of being a broker, has no fixed abode business enterprise to boast of and is even linked to questionable businesses. He is said to have snatched a player a girlfriend when he is supposed to act as a father to the club’s family. Kasavuli is using the club office space to run his dirty errands, it is claimed. Evidence that the club is on the rocks was seen during the club’s AGM on June 29 2014 at Nyayo Stadium when members openly disapproved his report and tore it apart with factual figures and facts leaving him with no tangible answers. Some even accused him of using the club to enrich himself. Analysts aver that the buck stops with Kasavuli and it was inconsequential to run away from real truth by suspending part of his team from the office. 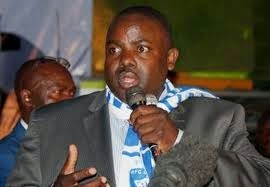 Also not spared is club secretary general George Aladwa. The big questions arise. What happens thereafter? Yes, the special general meeting, if indeed it will live to come, what solutions are going to be provided to resuscitate the club from its current slumber of dismal performance? One case in point is the budget of Sh54million for 2014 that the executive committee as a whole either lacks substance. The budget revealed the executive committee in bad light. How do you plan to collect only Sh14 million from gate collections yet this has been effortlessly exceeded by the previous office? Supporters recall that they accused the previous office of misappropriating gate collections, yet they were hitting the Sh14 million threshold. This raises questions as to why Kasavuli team has Sh14 million as their most strenuous target. That they collected only Sh10 million last year with Sh5,240,000 attributed to the former executive committee and only Sh5 million being attributed to their efforts suggest something fishy in gate collections. It is said that the club’s revenue collection is the worst in East and Central Africa. A number of fans have expressed their discomfort with the perfected trend of using remnants of tickets from previous matches to collect revenue at subsequent matches. Their pleas are not receiving due attention as it is said Kasavuli and a lady acting treasurer is part of the deal. The budget never factored in income for Top Premier League position but appeared to anticipate that the club would incur Sh13.5 million by participating in Confederation of African Football competitions. This clearly shows the office does not put there heads together to critique their work. What a team? Club Merchandise was budgeted at Sh600,000 same as the achievement for last year. Merchandise is the cash cow of officials and if well managed, can be an effective revenue stream. Analysts say that it hit a figure of Sh10 million. On top is to recruit more members. Word has it that the current 3,000 fans do not have jerseys and those worn are counterfeits. The club budgeted to raise Sh 5million from transfer of players. Here is where trouble looms. The club is signing and developing players that can fetch such kind of income. Allan Wanga was signed by the former officials. Credit for income earned from transfer of Allan Wanga to Sudanese club therefore goes to the former office but surprisingly, the transfer fee was pocketed. It ran into millions and a section of supporters plan to write to Ethics and Anti-Corruption Commission headed by Mumo Matemo to investigate the matter. On Kenya Revenue Authority, the club was to pay Sh7.5 million to KRA, but Kasavuli and team evaded the matter yet they boast to have settled it with KRA and none of this featured in the budget. Already, the Rescue Team apart from writing to EACC also will pen an official letter to KRA to shed more light. The current position of the club in the premier league, the continual inter wrangling among the officials is a clear indication that Kasavuli has failed and cannot deliver. He has been unable to unite and foster branch mobilisation and recruitment. The hue and cry out there is that Kasavuli and his team is unreachable and no longer picks calls from branch chairmen. Members are disgruntled and demand Kasavuli, and the remaining officials resign from the helm of the team honourably to avoid future embarrassment and humiliations. Issues of integrity also linger around Kasavuli as to what formal business he carries out on day to day basis? Close sources to Kasavuli reveal that his shady underworld business deals are soon coming to an end and the truth shall open a can of worms for Ingwe members to see. During the match where Leopards lost 2-1 to Mathare FC, Kasavuli sat lonely glued to his seat at half-time with no one around him, something unfamiliar with any of the previous chairmen of the club since Ingwe’s inception in 1964. Matters got worse when the team lost, unable to hold back, fans went on rampage baying for his blood, He was roughed up from his vehicle and forced to take refuge at VIP stand as riotous fans exchanged with the police. Already over 17 branches are in top gear and in consultation with all stakeholders to quickly intervene and save the club by setting up caretaker committee to streamline club and address the avalanche of problems bedeviling AFC Leopards. AFC Leopards is one of the country’s foremost football clubs reeling under heavy pressure from its fans to institute change. According to an elder of the club Vincent Shimoli, the club needs to be revamped. The officials are Kasavuli (chairman), Patrick Ngaira (vice chairman, suspended), George Aladwa (secretary-general), Prof Kadima (assistant secretary), Remi Mudi (treasurer, deceased), Esther Lubember (assistant treasurer, now acting treasurer), Timothy Lilumbi (organising secretary), committee members Carol Amuyunzu (suspended), Steve Mungo, Samuel Limisi (suspended).